We always make an effort to live a healthy and happy lifestyle. Some of us are capable to keep several balls in the air and enjoy their positive flow. Some of us… But it doesn’t always go as well as we’d like to. We get ill or encounter other problems such as extreme exhaustion, pain, depression, grief, not enjoying your job anymore… Eating healthily, keeping a close eye on your limits and ending relationships seem to help a little. But the same problems keep returning in new situations. What if you’d know the source of these problems? You would learn how to cope with them and how to solve them. With the right attention for your body and mind, you will be happy and healthy again. Master Lu helps to increase your awareness so you can let go of old patterns. Even if you feel healthy, you can learn a lot of master Lu. Many people work hard and achieve a lot due to their willpower and drive. This provides a positive flow. But in the end, you will exhaust your source of energy. With the insights of master Lu, you learn to achieve the same but in a way that demands less energy and feels good. During this 5-day Zhineng Qigong workshop, the deeper source of mental and physical problems will be revealed from a new perspective. You learn to look at yourself in a different way, and to observe problems. Human beings are a whole; mind and body belong together. In addition to the theory of master Lu, his wisdom and power will help you immediately to get your energy moving. Your energy becomes powerful and harmonious again. Many Zhineng teachers provide standard workshops. The knowledge and power of master Lu are unique. He gives workshops based on the energy in the group and elaborates the individual needs of the participants. This workshop lasts 5 days. Participants are required to follow all (5) days. I’m very energetic and have a lot of activities every day. But my mind is always busy, and I would like to respond more relaxed to situations. I participated in the workshop for no special reason, but it was an amazing present to myself. I experience a lot more tranquility and I worry less about the issues surrounding me. My body feels smooth and I no longer suffer from the returning injuries I had. Master Lu has been practicing Zhineng Qigong for over 30 years. In China he participated in the research of the effects of Zhineng Qigong for years. The main question of this research was: is it science or superstition? These studies proved that Zhineng Qigong is indeed a science which cures diseases. 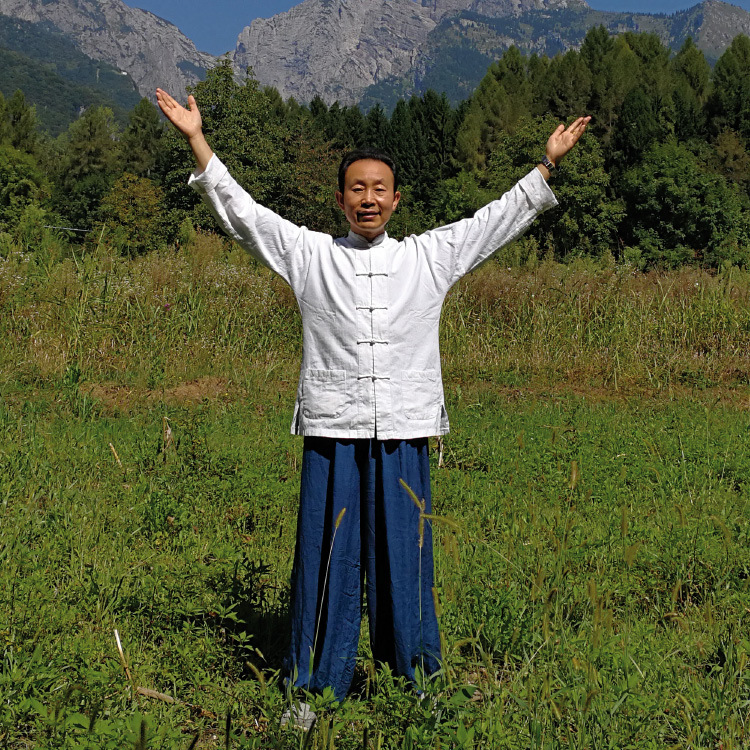 Master Lu Zhengdao has been a Zhineng Qigong practitioner in China for 30 years. He is a first-generation student of Master Pang Ming, the founder of Zhineng Qigong. Master Lu was referred to Zhineng Qigong education by master Pang and represented the theory throughout China.